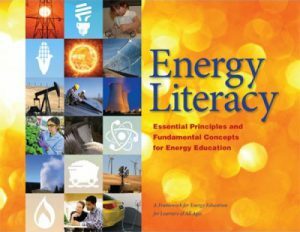 Energy Literacy: Essential Principles and Fundamental Concepts for Energy Education identifies seven Essential Principles and a set of Fundamental Concepts to support each principle. The guide does not seek to identify all areas of energy understanding, but rather to focus on those that are essential for all citizens K-Gray. It presents energy concepts that, if understood and applied, will help individuals and communities make informed energy decisions.The Energy Literacy document is the culmination of public listening sessions and thousands of experts contributing to a dialogue about what an energy literate person should know and understand. 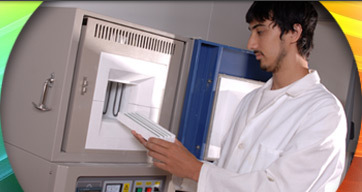 Energy Literacy looks at energy through the lens of natural science as well as social science. Energy issues require an understanding of civics, history, economics, sociology, psychology, and politics in addition to science, technology, engineering and mathematics. A comprehensive study of energy and curriculum designed using Energy Literacy should be interdisciplinary and use a systems-based approach to fully appreciate the complexities of energy issues.The intended audience for the Energy Literacy document is anyone involved in energy education. Intended use of the document as a guide includes, but is not limited to, formal and informal energy education, standards development, curriculum design, assessment development, and educator trainings.